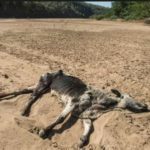 Agri SA says it has no record of farmers who were assisted with drought relief through the R2.5 billion mentioned by President Jacob Zuma in his State of the Nation Address (Sona). The organisation says most farmers had to get loans from First Land Bank to ensure that they could survive the drought conditions. Agri SA’s President Johannes Moller says they have approached the Agriculture Department for an outline of how the R2.5 billion was calculated. Moller says the president’s announcement that the Land Expropriation Bill will again be assessed in Parliament shows uncertainty on the part of government. Agri SA says it is hoping to get to the bottom of this issue.